Developing one’s personal style is an evolutionary process. Think back to your first go at emitting some sort of fashion sense. I recall baggy blue jeans and a ridiculous number of safety pins clamping the extra width of my jean material from knee to ankle. When I see myself in photos with this getup, I can’t help but wonder what drew me to this look, closely resembling new wave lederhosen from a badly adapted version of Sound of Music. Fast forward years later to university. My daily wear was a mix of comfy gear like giant concert t-shirts (back then, they sold two sizes – large and extra-large) and jeans. It was during these years, I met Leslie who never wore jeans because she felt they were a lazy way to get dressed in the morning. She nudged me to go forth and seek a wardrobe that didn’t blend into the crowd. And I did. I made stops at Value Village and vintage picked with my dear Mary. And the once dowdy uniform I once wore was transformed. I’d like to describe it as old man with a punk aesthetic. Evening wear was more daring. I OWNED a pair of black pvc pants from Le Chateau that I rocked on Saturday nights. 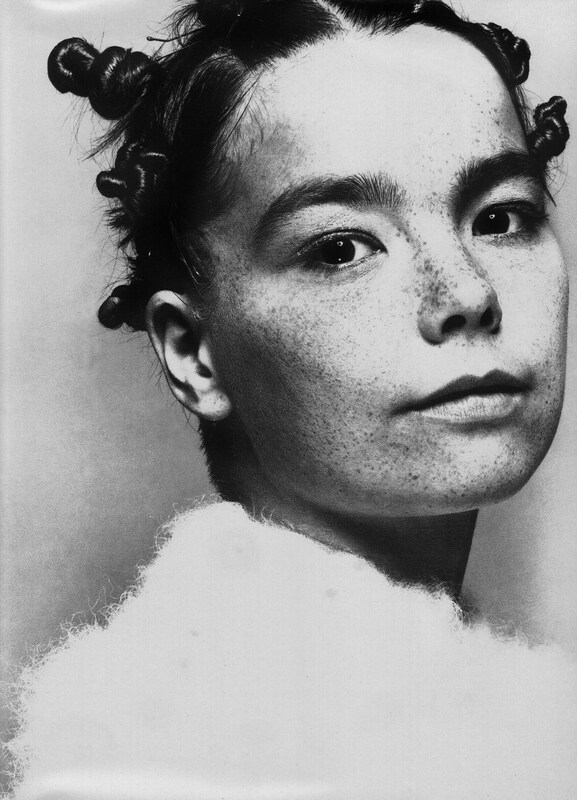 This was often paired with some wild coloured tank top and a scattering of mini-buns dotting my head, a la Bjork. Now a days, I lean towards unique and classic, arty and fun, without the junior fashion sense of my younger years. I appreciate the finds of chain stores mashed up with less popular pieces from independent stores. I like to keep things fresh and unpredictable without the need for the jaw drop impression of those pvc pants (which were worn with bulbous platforms btw). What was your style like in your adolescent years? And now? Please share and let’s laugh about it together! I also followed you😊mind following back? It would be very much appreciated! Oh, clothing by the pound. Love it! Wish that was the way they sold clothes these days too. Except in the winter. My love affair for knit would cost me a fortune! in high school, i fell upon the toddler way of dressing, find a colour accent in your top and wear that on your bottom…actually i probably still do this. Someone actually called me out on this and said i dressed like a toddler…perhaps i missed this stage when i was actually toddling as i may have been dressed in cool hand-me-downs and / or batik, which would have been better for high school. Too funny. I think the colour accent top + matching bottom theory is still in use. A classic formula really. We were all working it out in high school … we still are, aren’t we?